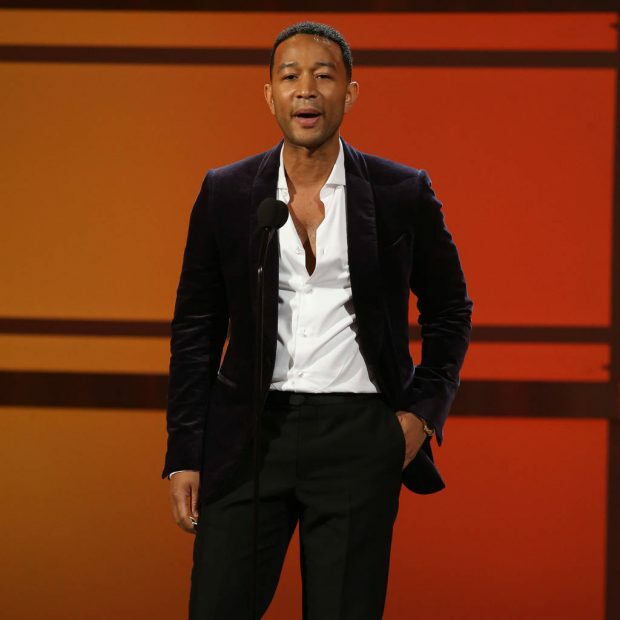 John Legend is a step closer to becoming one of the few to land an EGOT after scoring two Emmy nominations on Thursday. The star received two nods for his work on the live telecast of Jesus Christ Superstar – as the show’s lead and producer – and now he’s on the verge of becoming the latest member of an exclusive club of elites who have picked up an Emmy, Grammy, Oscar and Tony prize. The All of Me hitmaker, who co-produced the hit TV musical alongside composer Andrew Lloyd Webber, is excited by the idea of accepting an award on Emmy night. The acclaimed Jesus Christ Superstar is nominated for 13 Emmys, the most of any live TV musical. Legend’s fellow cast members Sara Bareilles and Brandon Victor Dixon are also up for a trophy. “For all three of us, as actors, to get nominated is pretty incredible,” Legend added. Legend previously earned a Tony for producing a revival of Jitney on Broadway last year and he took home an Oscar for Best Original Song (Glory) in 2015. He has also scored multiple Grammy Awards over the years, starting with the Best New Artist trophy in 2005. Audrey Hepburn, Whoopi Goldberg, Barbra Streisand, and James Earl Jones are among the select few who have earned EGOT status.